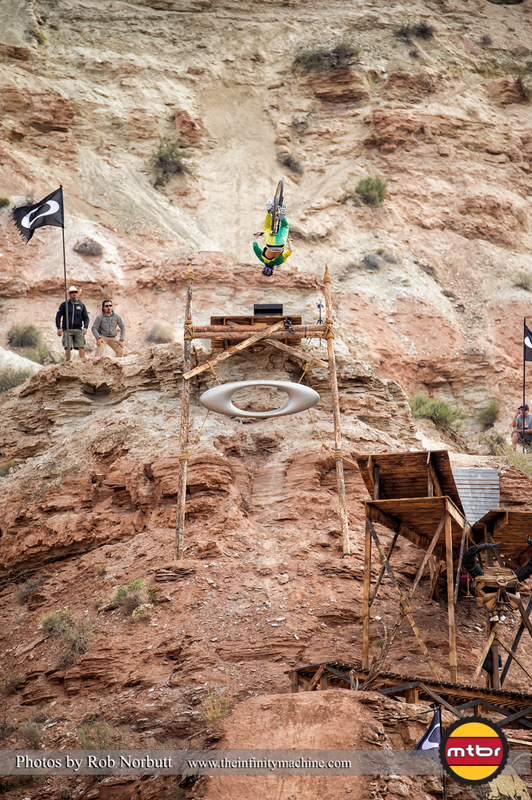 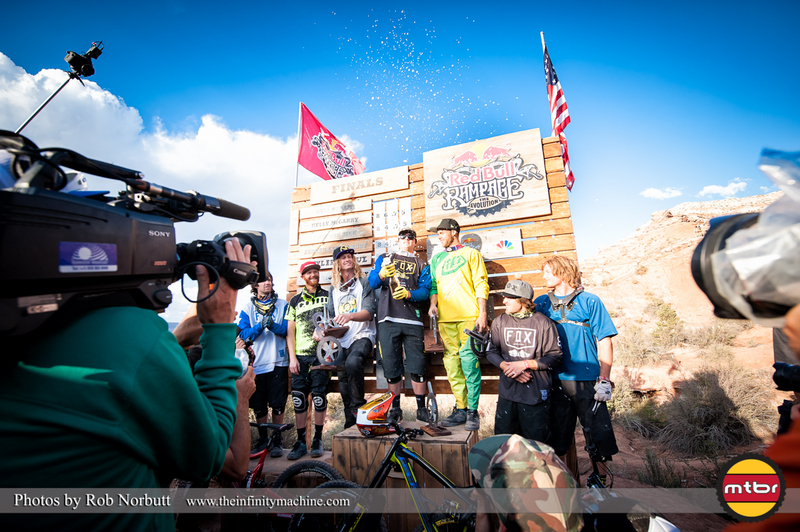 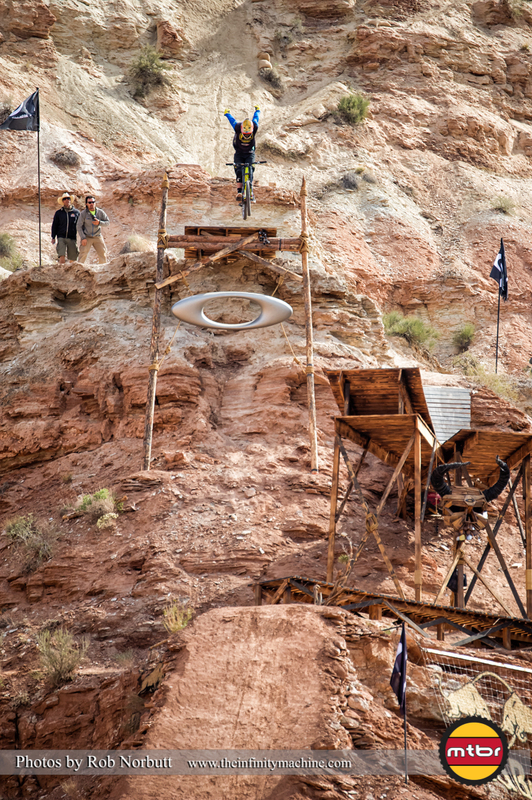 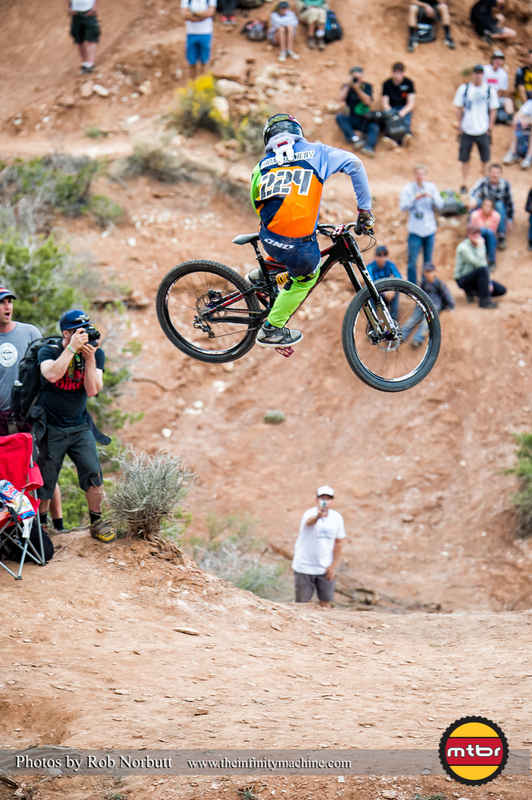 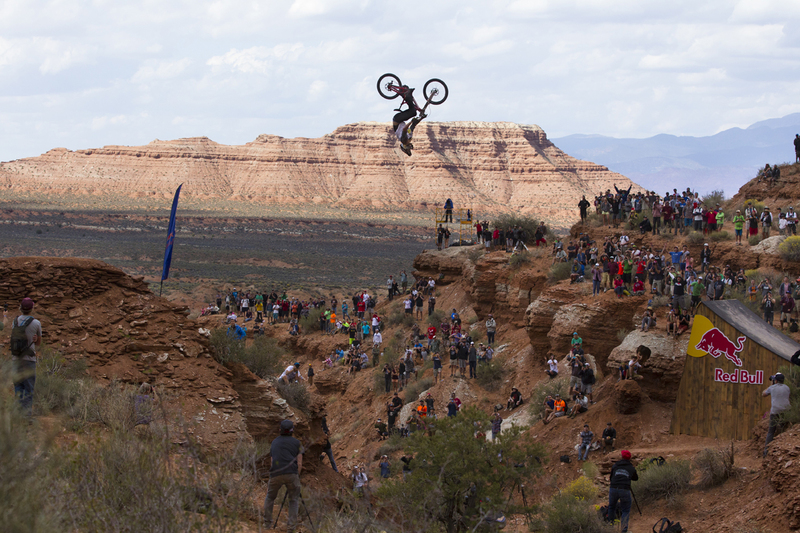 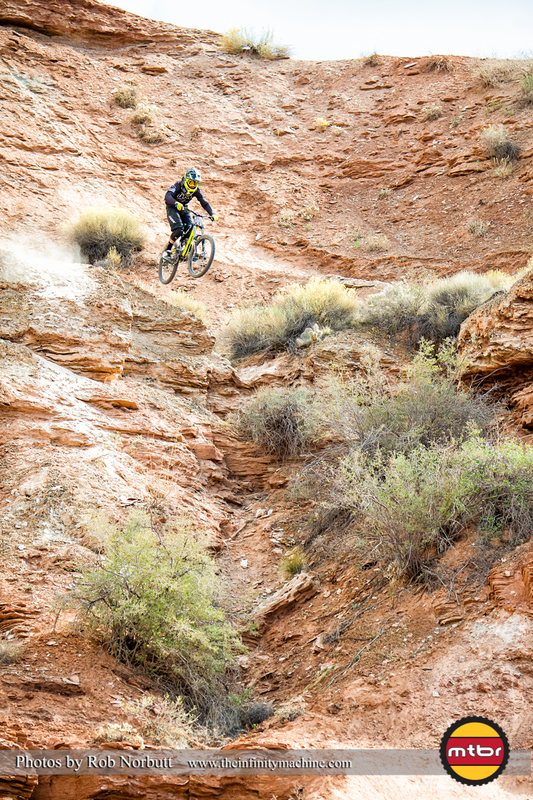 The 2013 Red Bull Rampage is in the books. 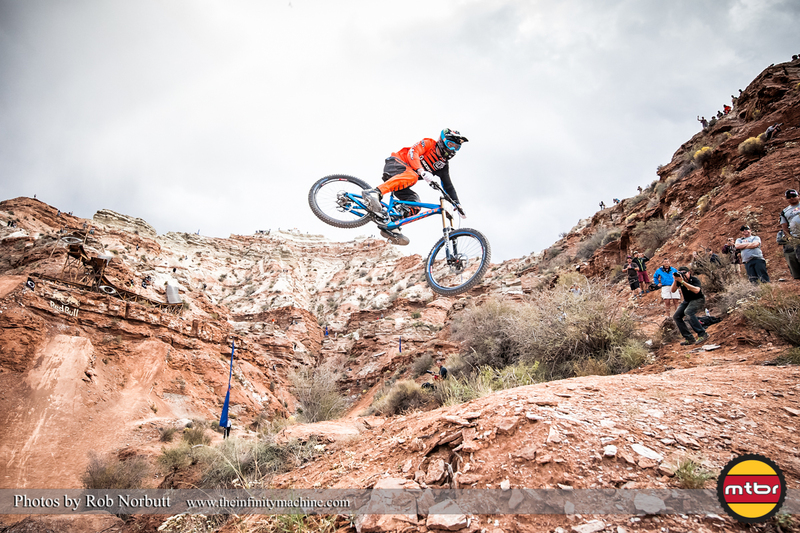 Due to high wind during the second session, the finals were eventually called and results taken from each rider’s first run. 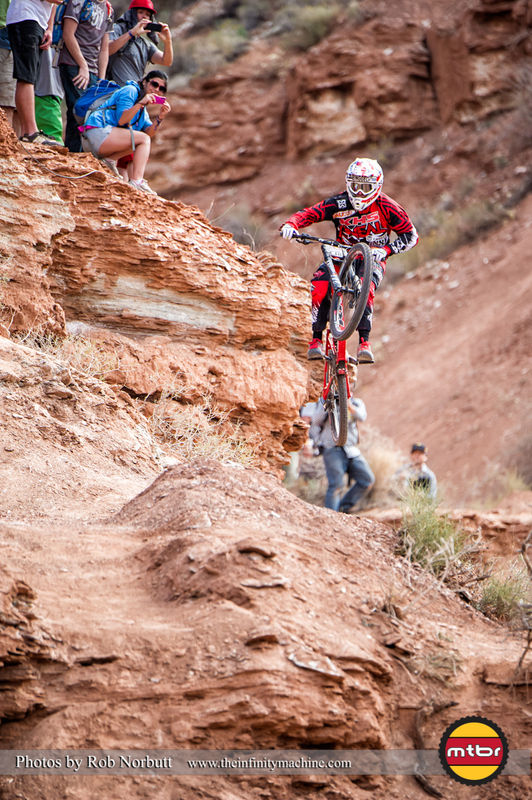 Kyle Strait took the win with a smooth, confident run that featured a huge no-hander off the Oakley Sender feature. 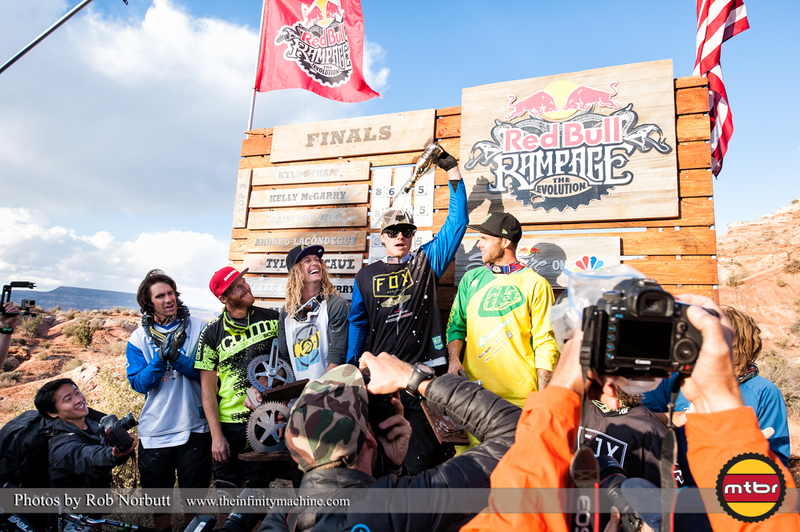 This is actually Kyle’s second win, making him the very first rider to have two Rampage championships under his belt. 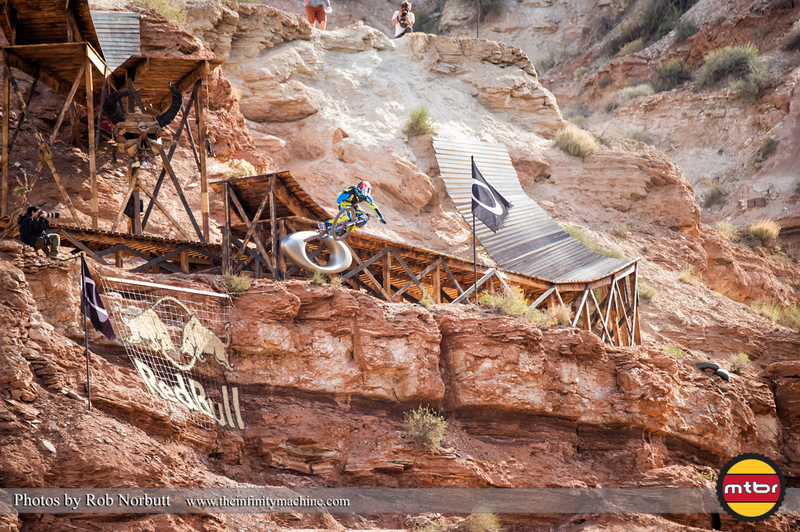 His first time was back in 2004, at the original Rampage location, when he was only 17. 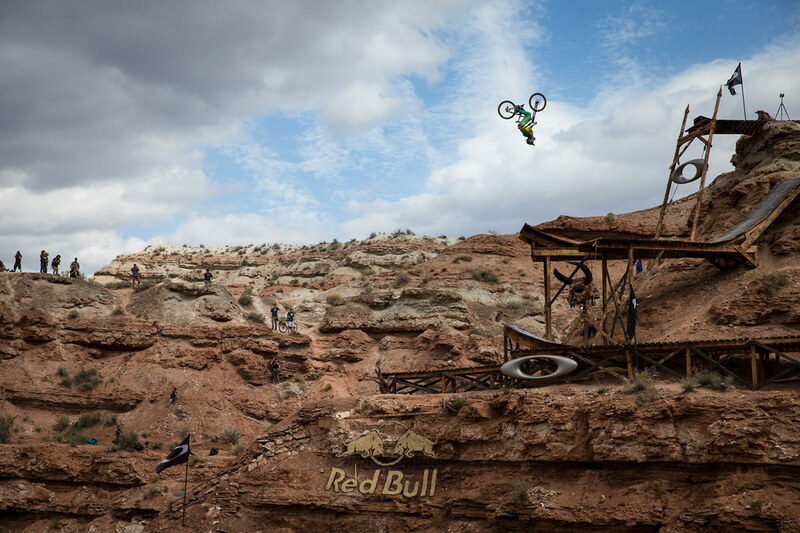 Diamondback pro Kelly McGarry, from New Zealand took second place with what is arguably one of the biggest tricks ever at Rampage, a backflip over the 72-foot canyon gap. 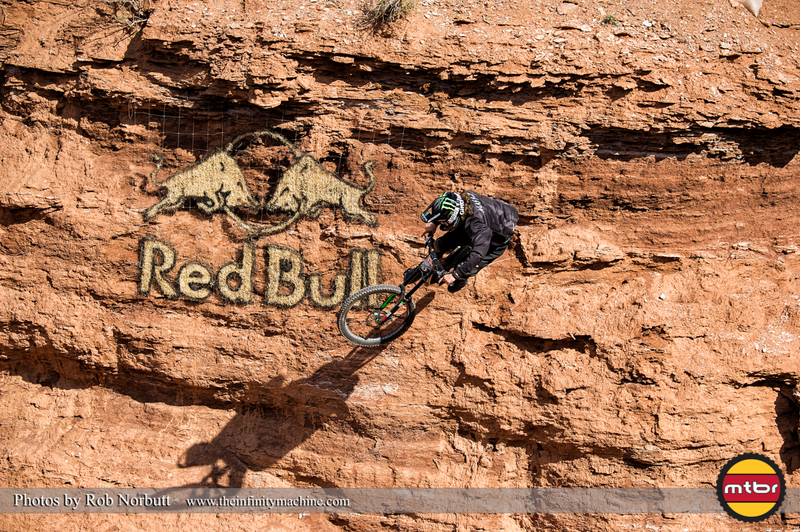 That earned him the inaugural Red Bull Bike People’s Choice Award. 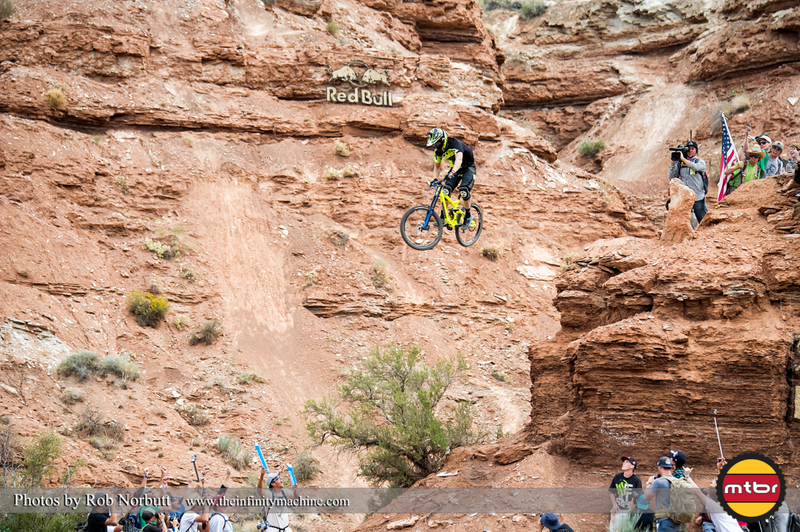 Third place went to Cam Zink, another previous Rampage winner. 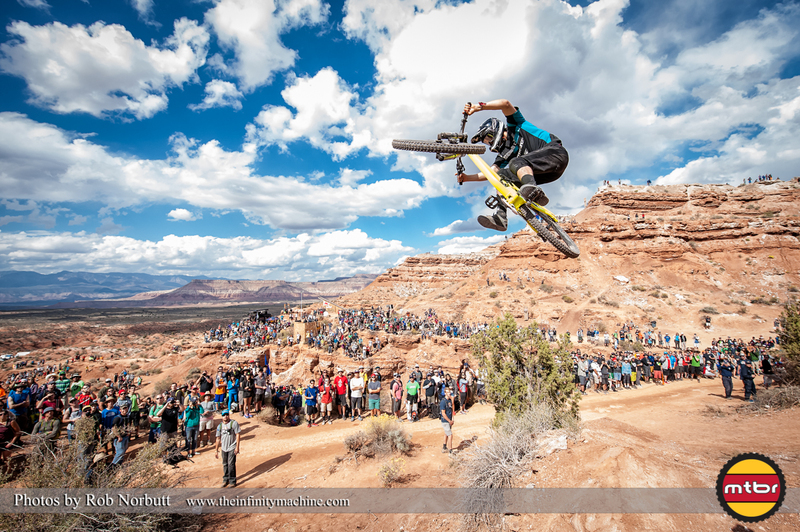 He also won the Utah Sports Commission Best Trick award for sticking a backflip off the Oakley Sender – another huge move that hadn’t successfully been done yet. 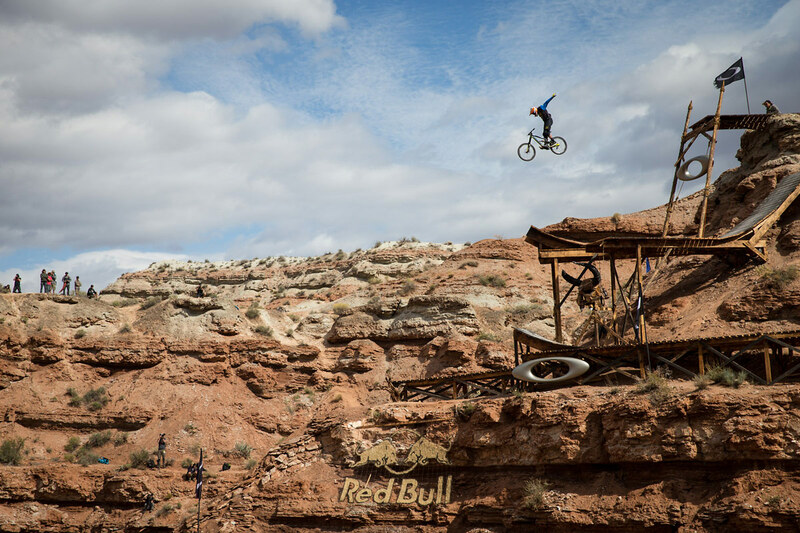 Check out the photos below of Kelly and Cam’s big moves. 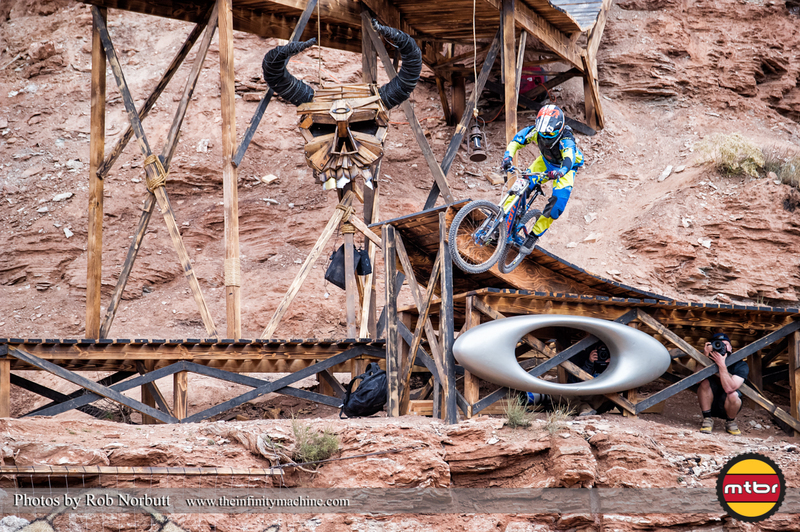 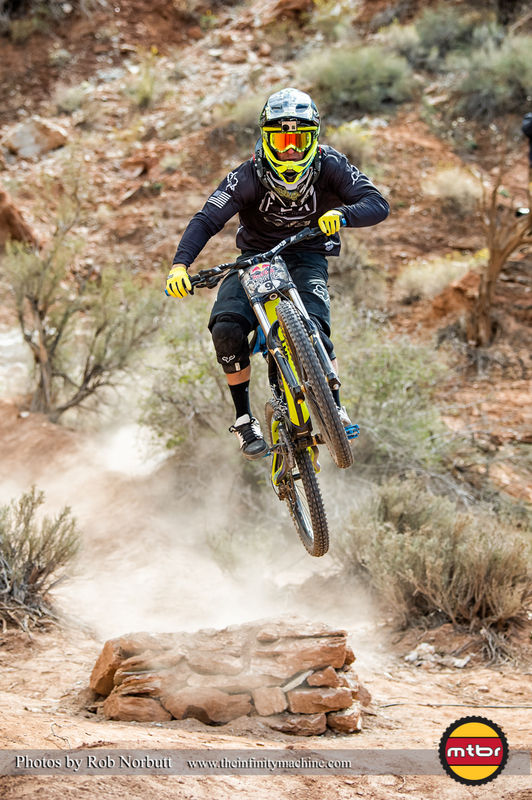 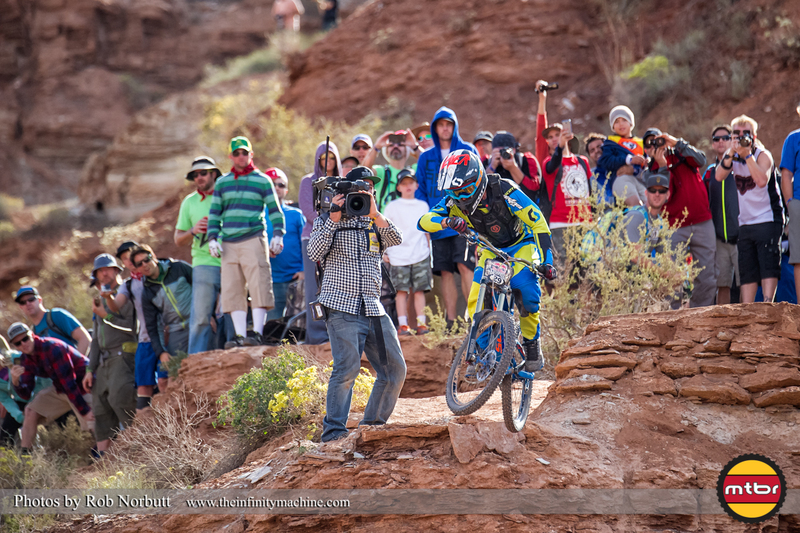 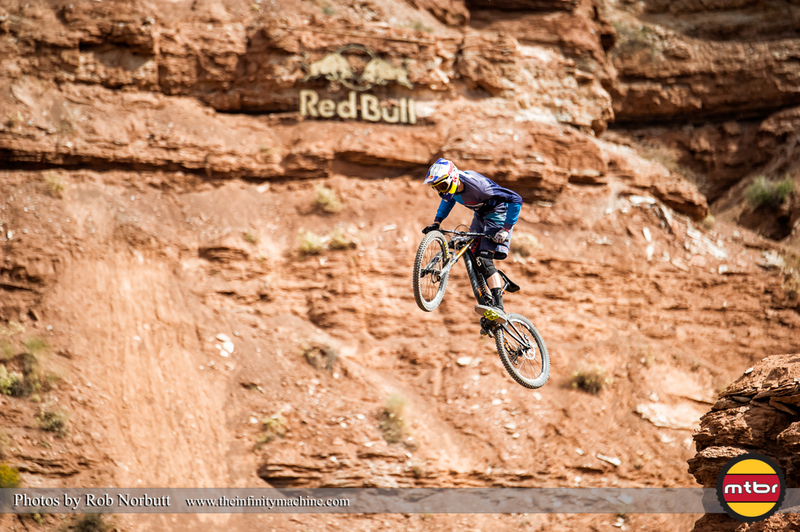 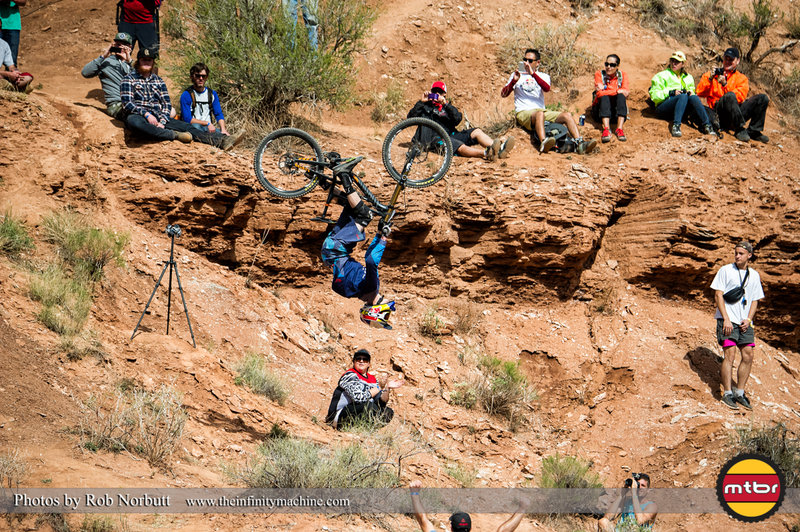 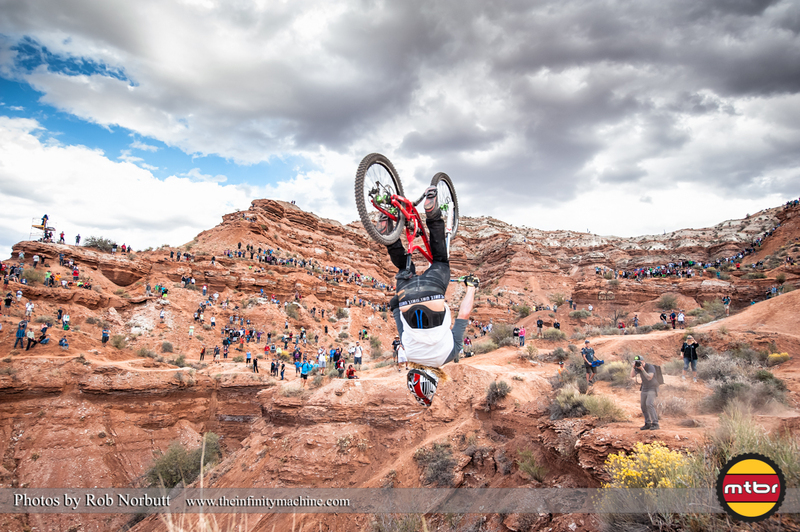 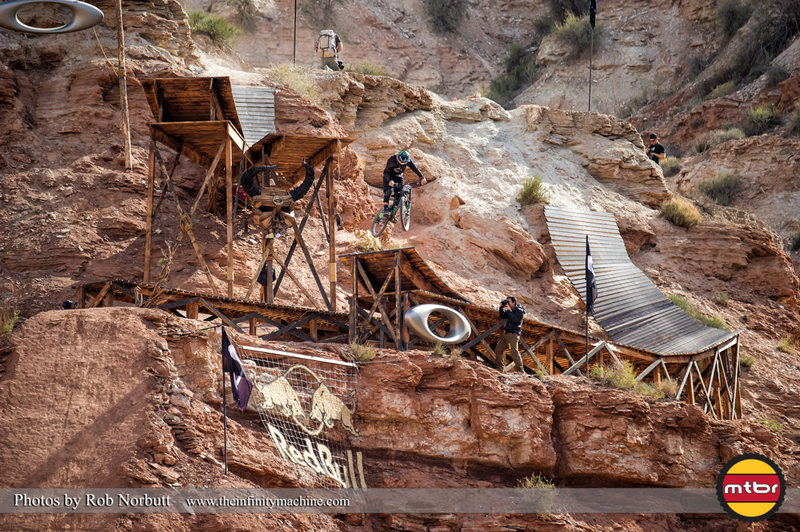 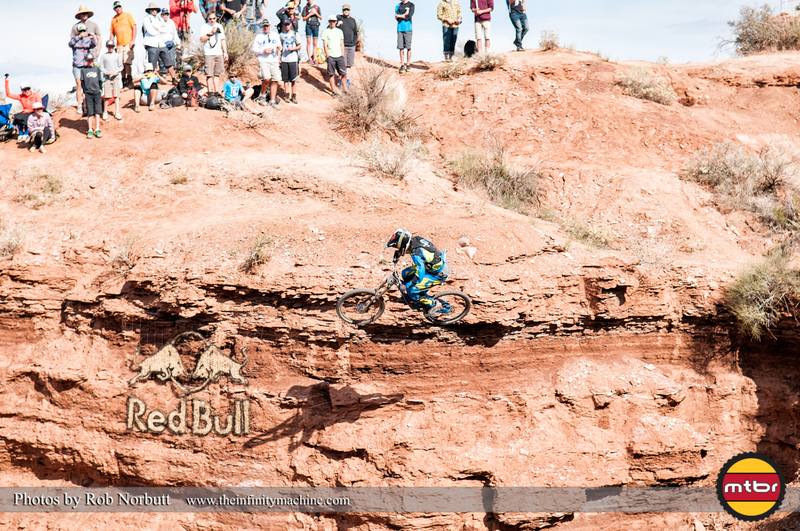 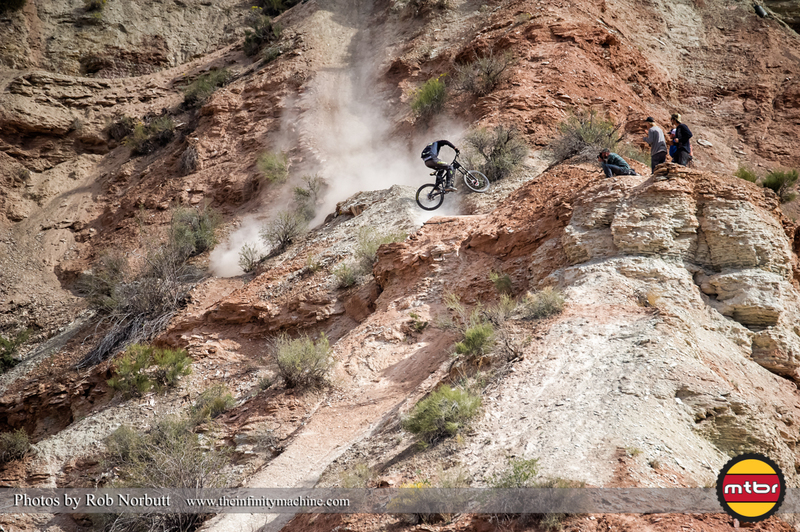 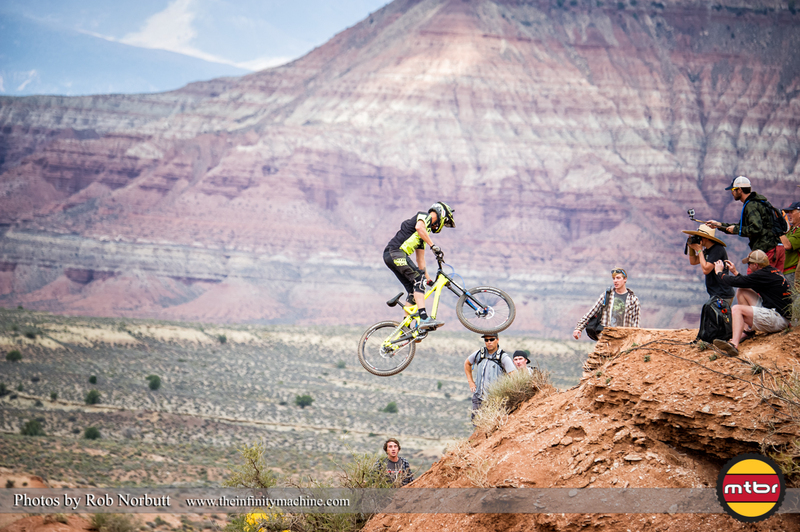 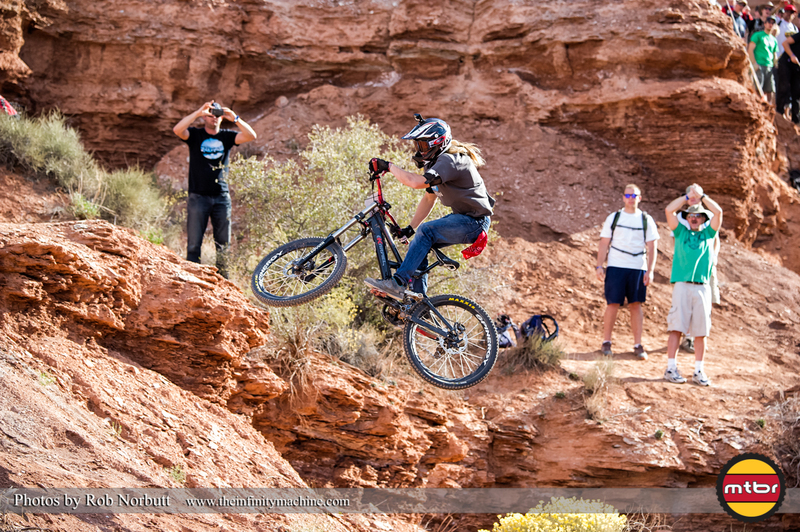 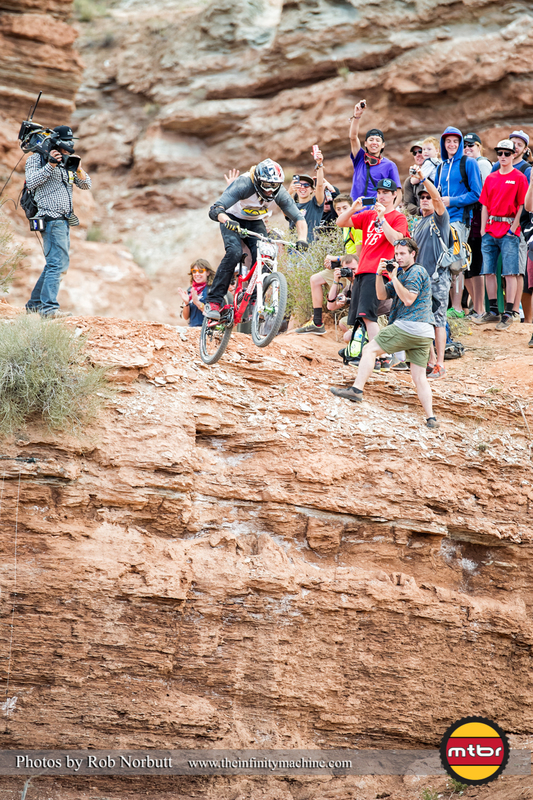 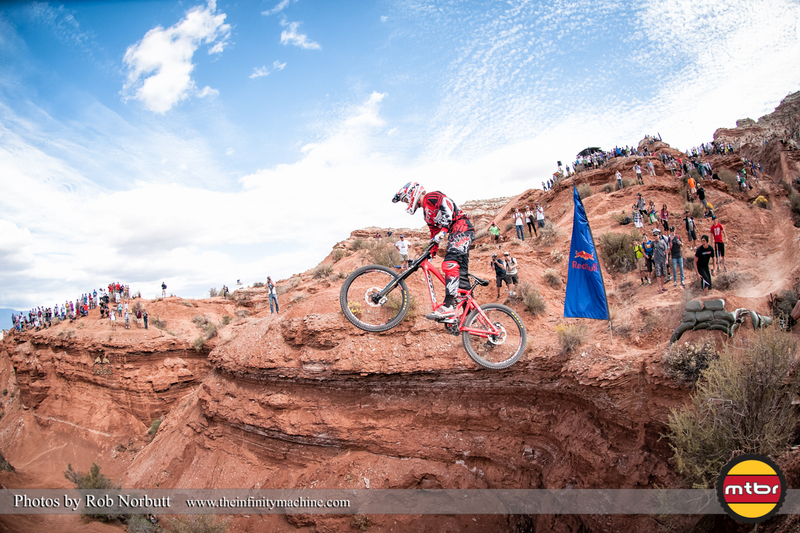 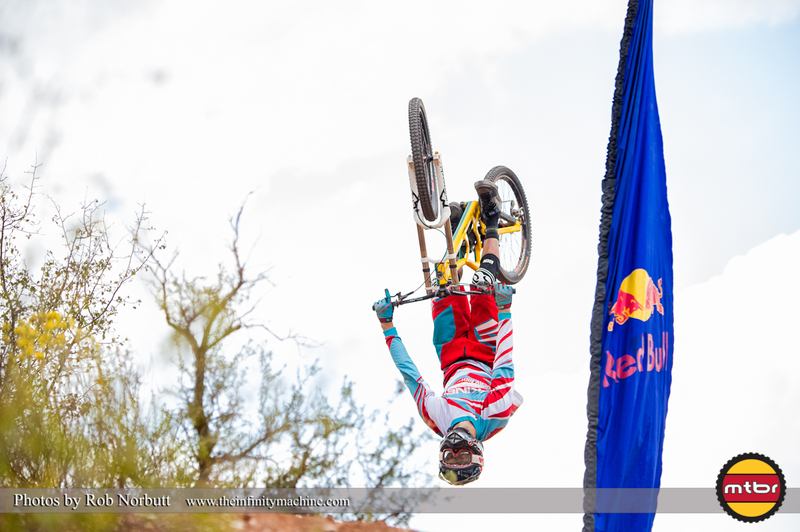 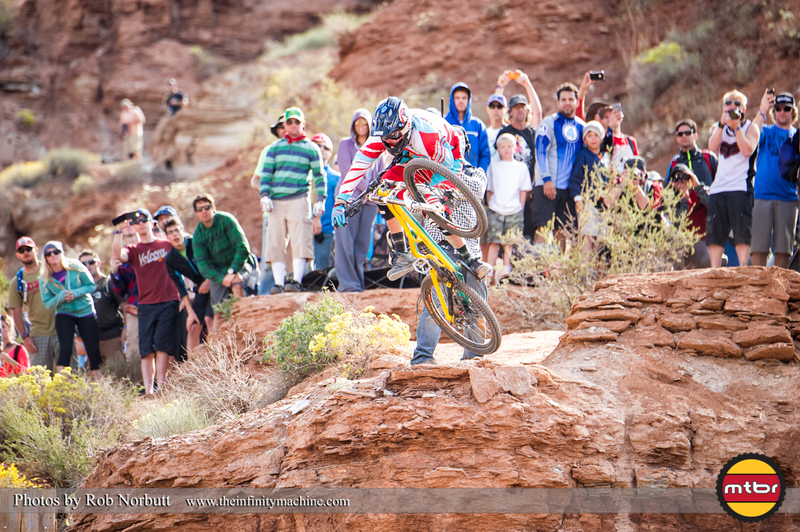 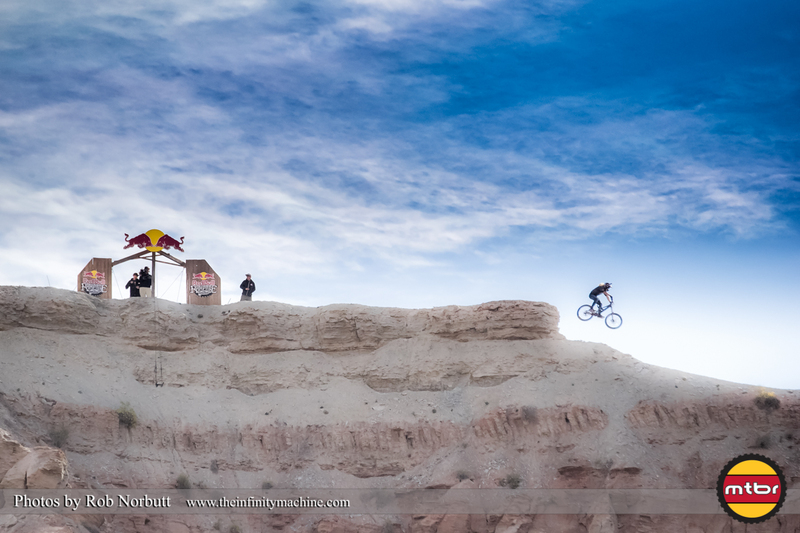 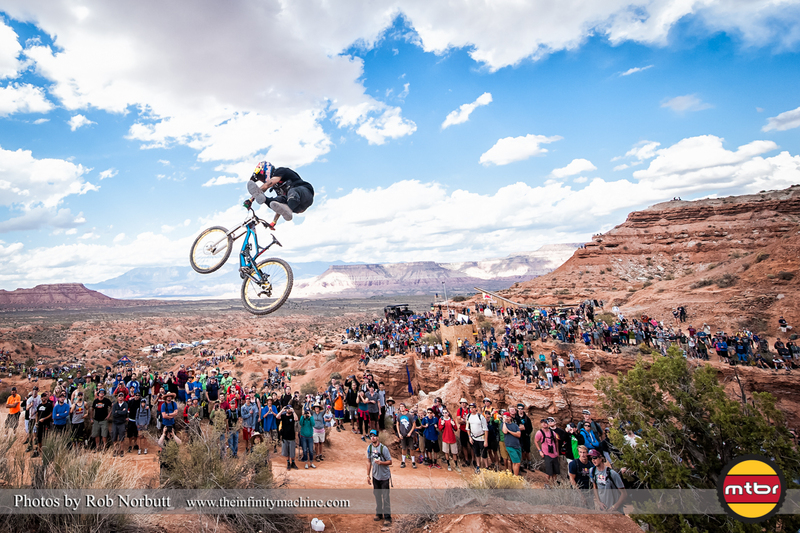 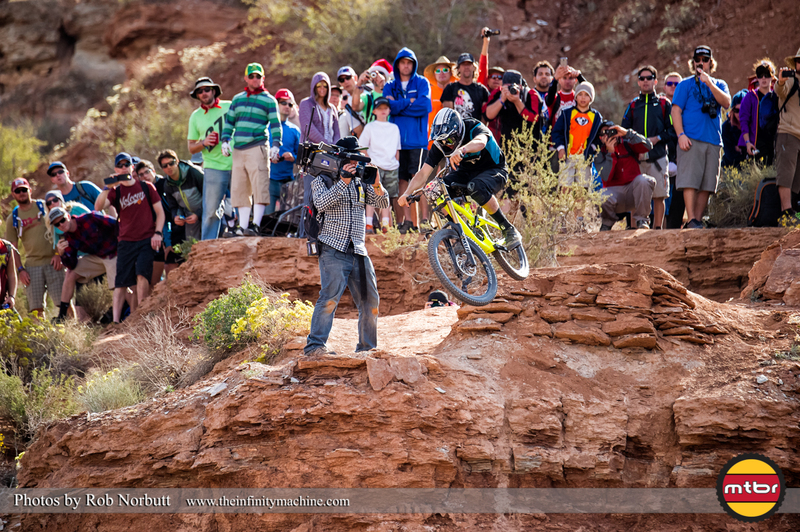 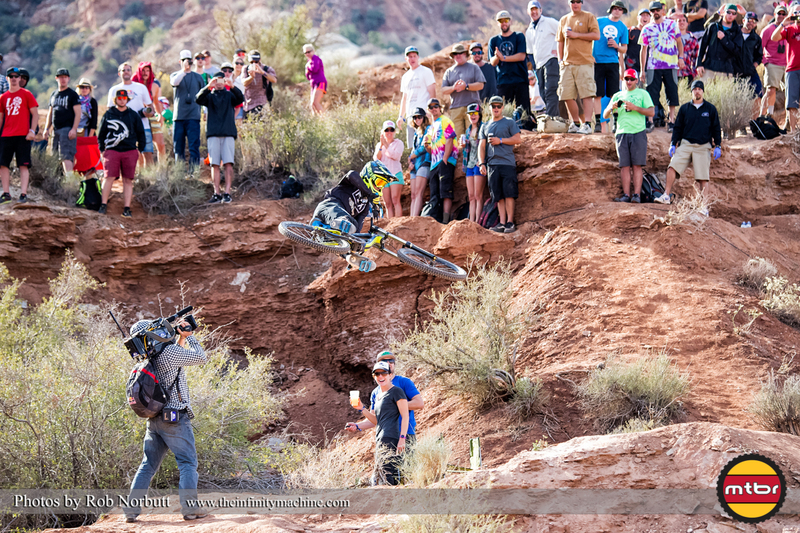 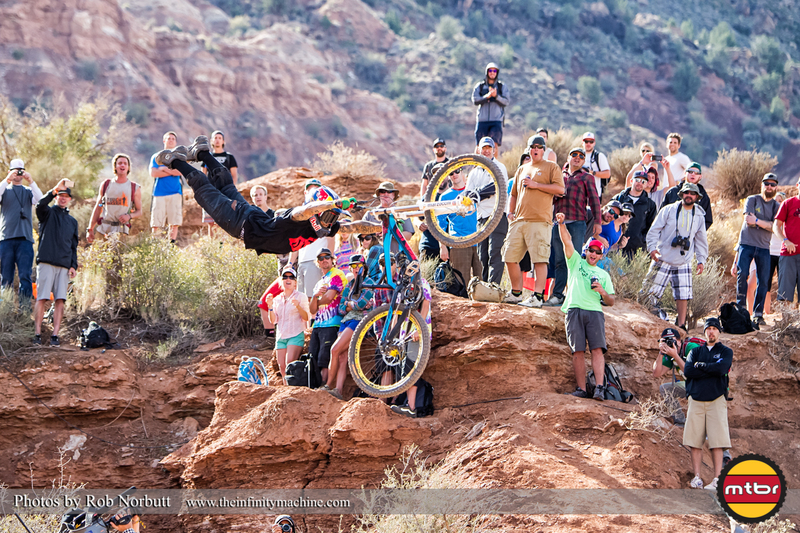 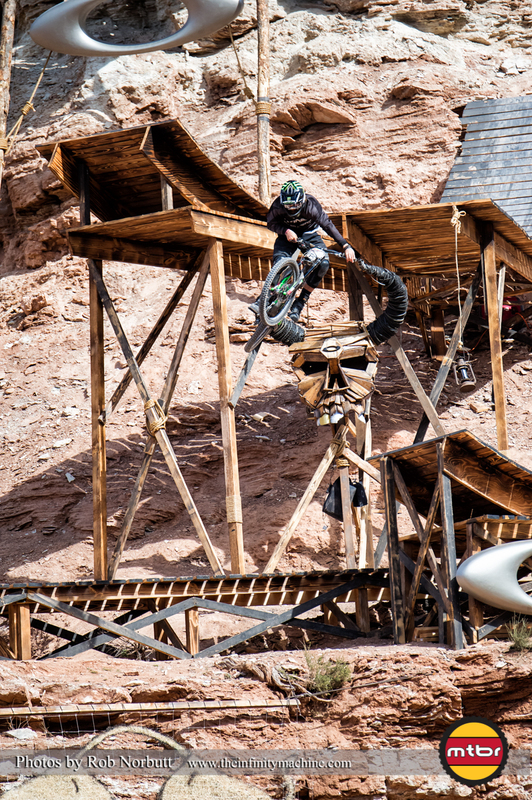 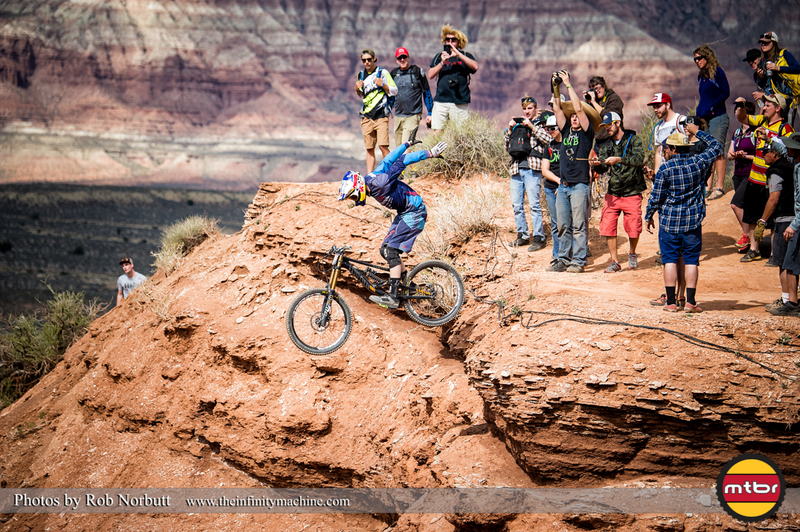 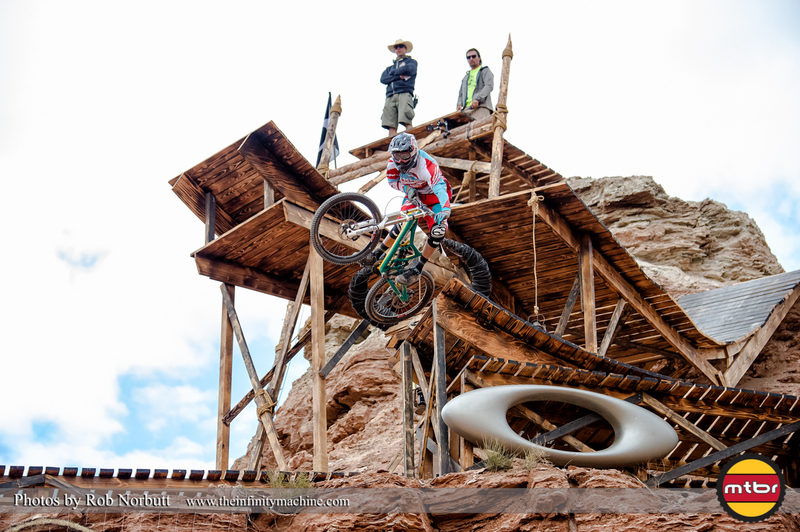 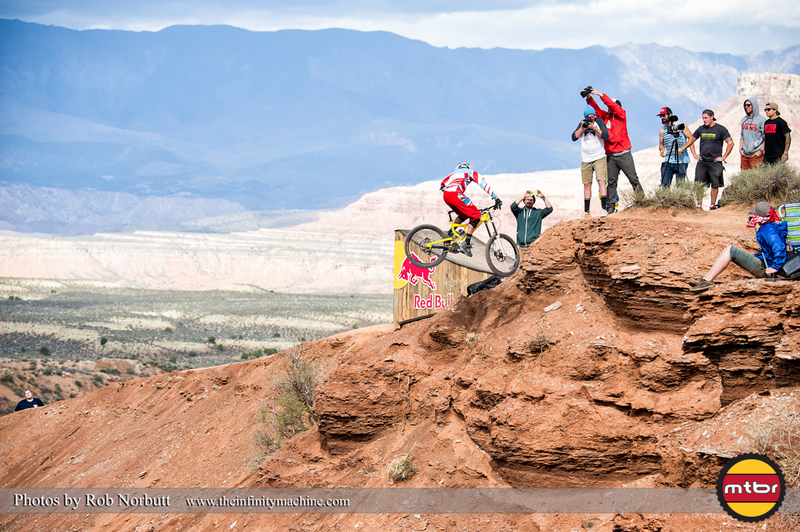 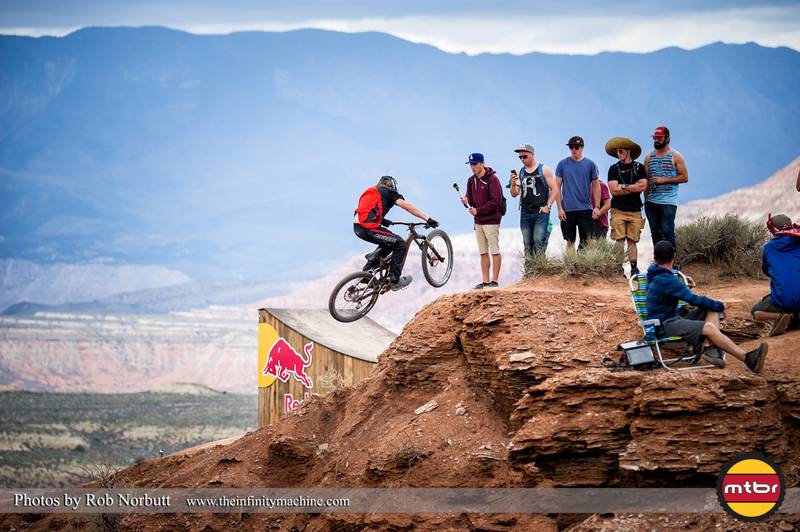 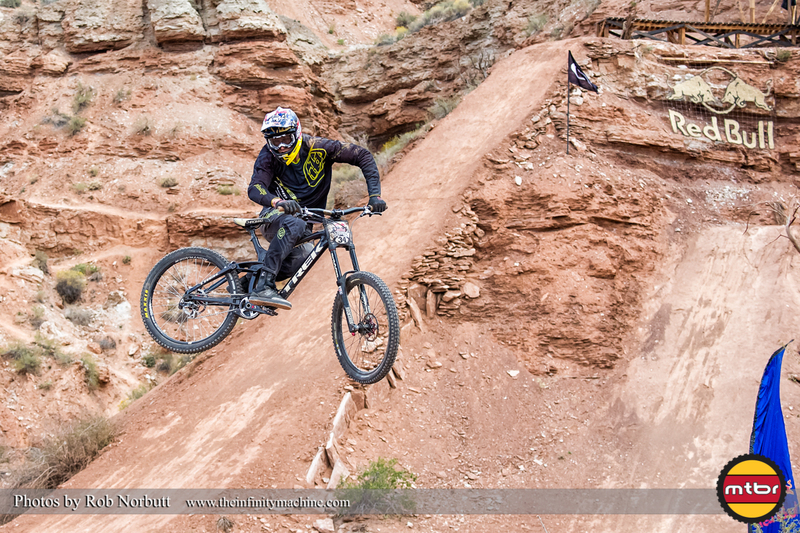 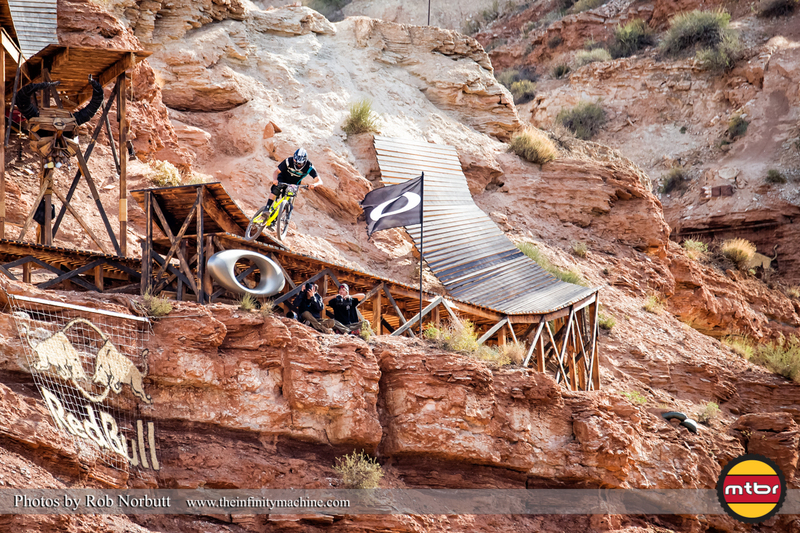 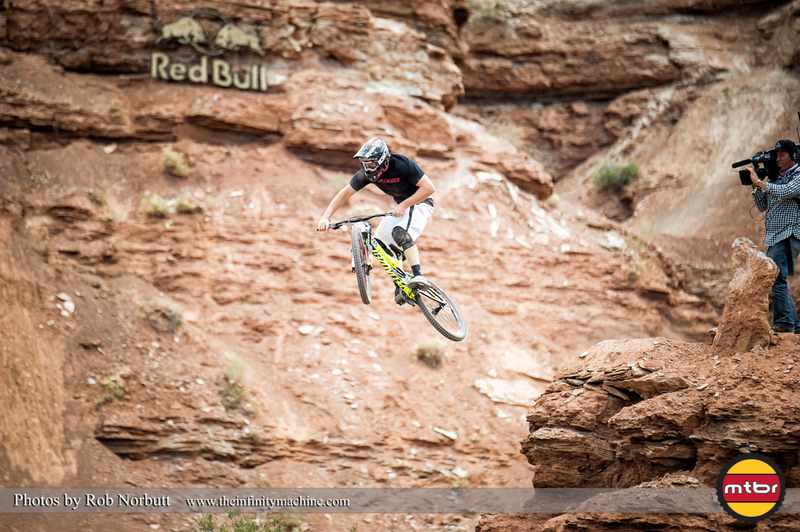 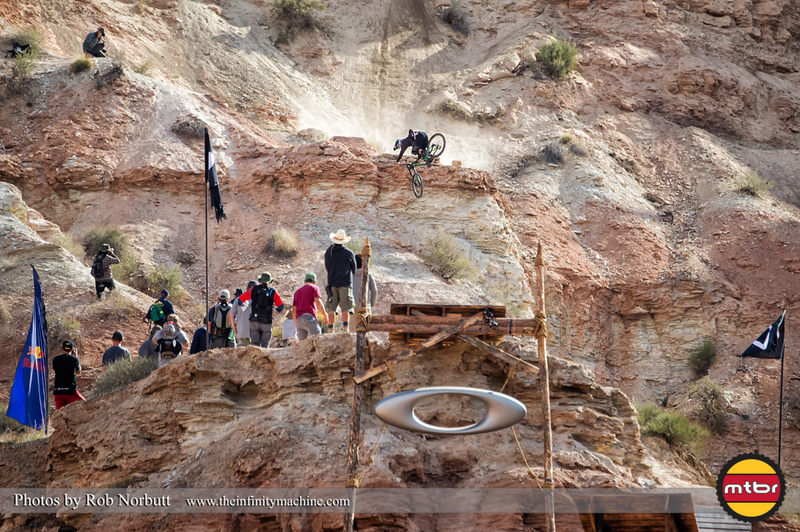 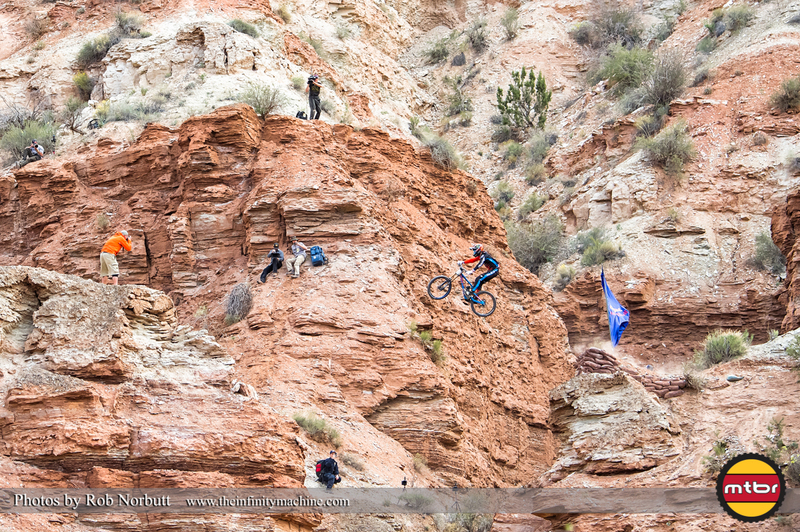 Also make sure to check out the huge gallery of Red Bull Rampage photos by Rob Norbutt, below. 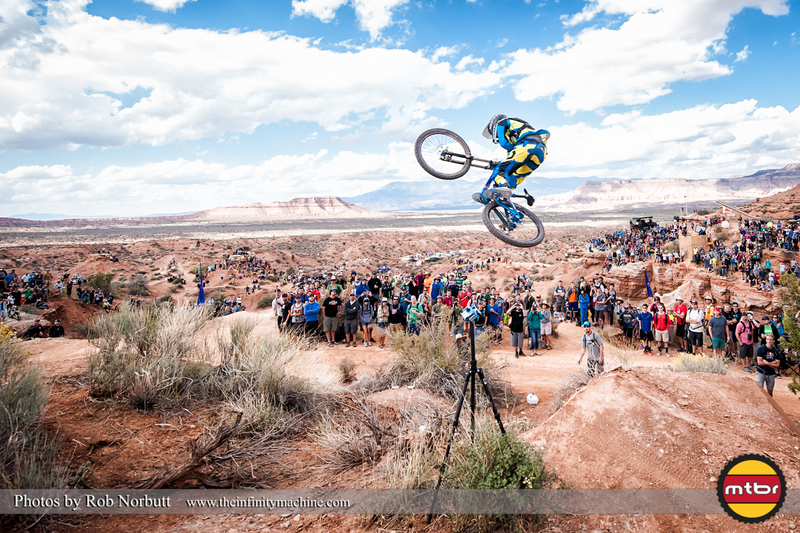 Rob Norbutt is a Salt Lake City based professional action sports photographer. 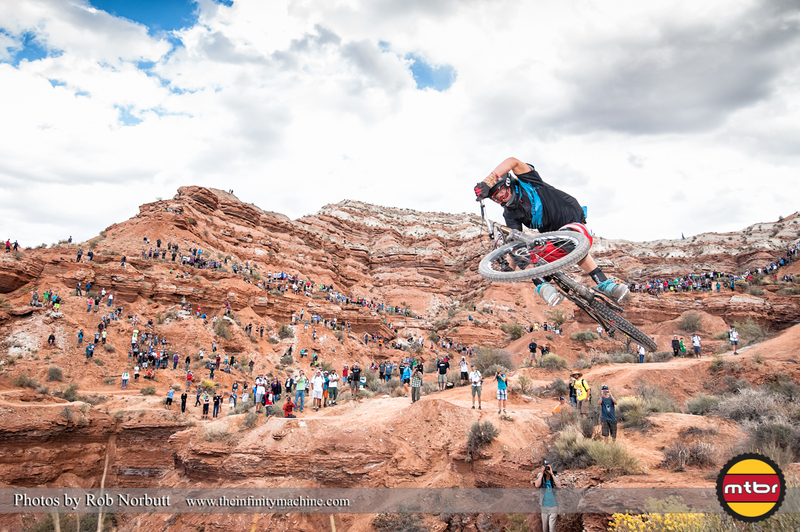 His company, The Infinity Machine, covers combat sports and motorcycle events in Utah and the Mountain West. 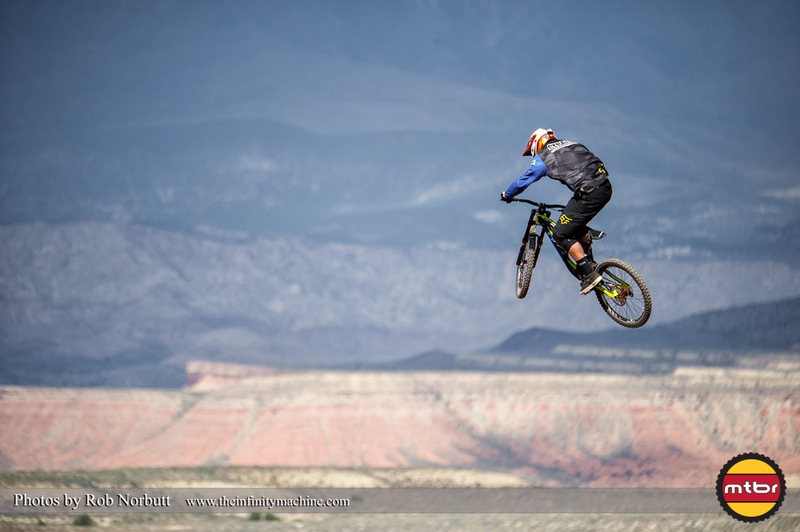 When not shooting, Rob can be found working on his cauliflower ears at Absolute MMA or exploring Utah on mountain bikes, dirt bikes or his splitboard. 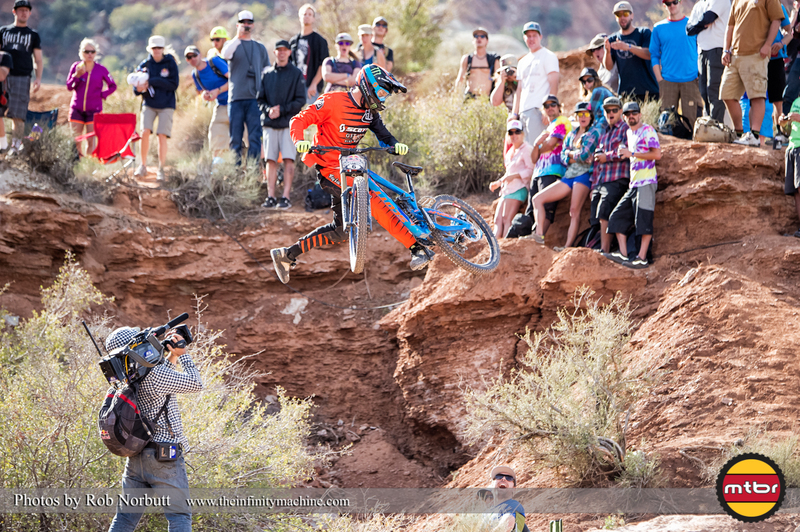 Kelley Mc Garry numero uno for smooth and trick. 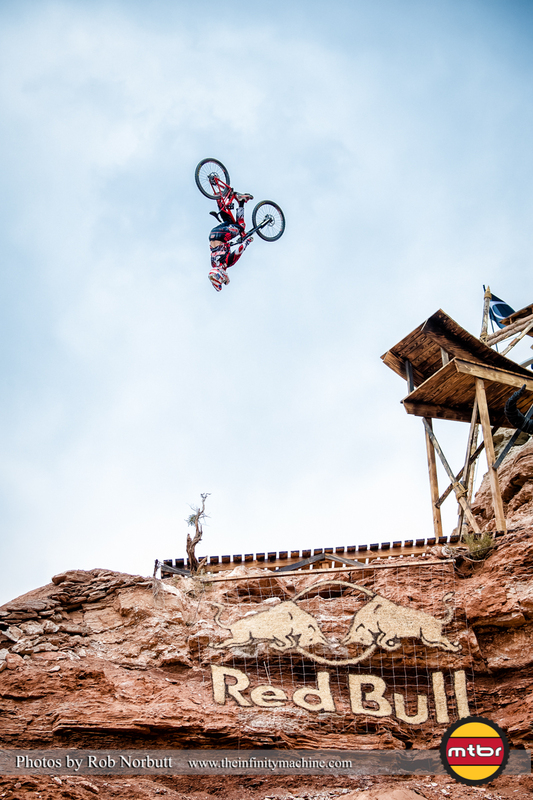 Yeah — how does a no hander drop beat a huge gap backflip?